Disneys’ Art of Animation Resort opened in 2012 and is the 5th resort in the value category. 1,120 family suites and 864 standard guest rooms make up this family-friendly value resort. There are four wings to the resort featuring: The Lion King, Cars, Nemo & the Little Mermaid. 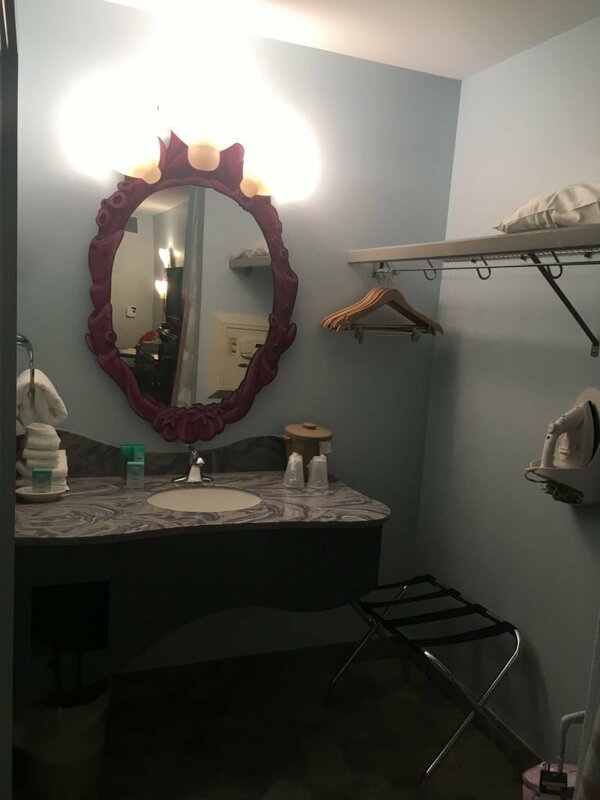 All standard guest rooms are situated in the Little Mermaid wing. 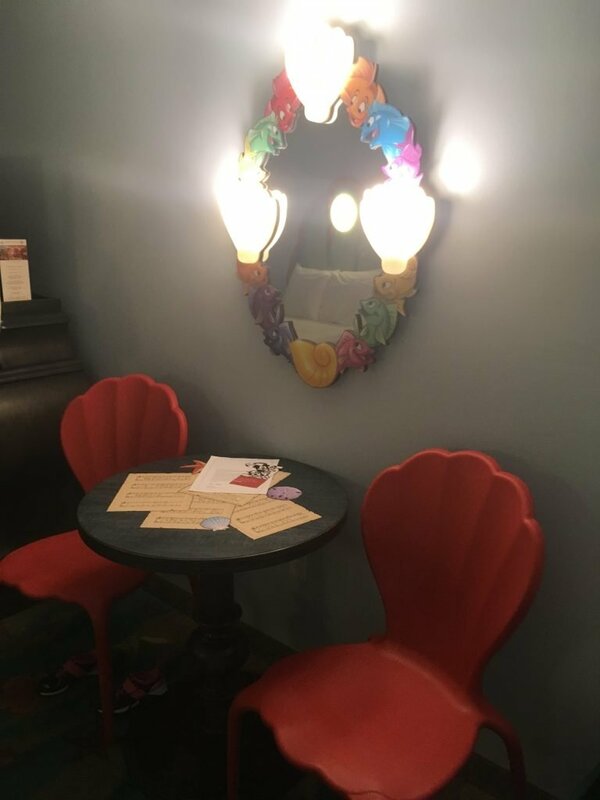 Our review focuses on a standard Little Mermaid Room. The Little Mermaid section of the resort started construction many years before the rest of Art of Animation. Initially, it was intended to be part of an extension to Disney’s Pop Century Resort called the Legendary Years. However, after the slow down in tourism following the September 11th attacks construction was halted. When construction restarted in 2010, the theme was changed to Art of Animation. The Art of Animation is a value priced resort but usually is more expensive than the other value resorts. Little Mermaid Rooms are slightly bigger than at other value resorts, but there are few additional benefits. 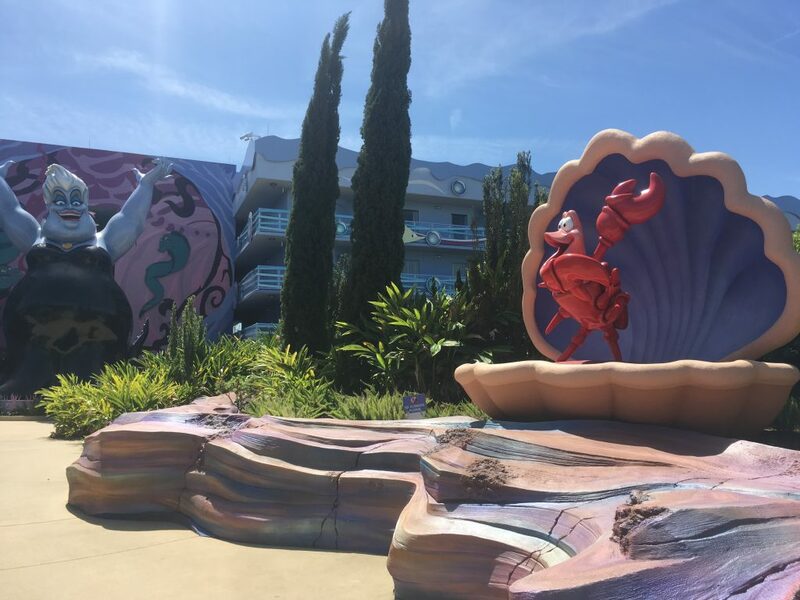 The Little Mermaid rooms are at the furthest point at the resort, and it is around a 10-minute walk to the bus stop. There are elevators in the blocks, but walkways are not covered. 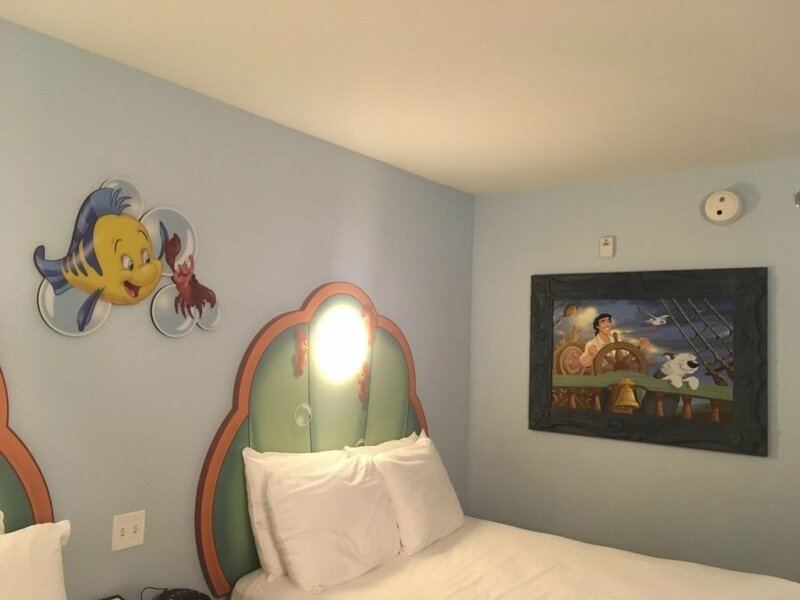 Little Mermaid Rooms are cheap and cheerful, but comfortable. However, they are not cheap usually being more expensive than other value resorts. While the theming at Art of Animation is better compared to other resorts it isn’t probably worth the extra cost. Also, depending on offers available some moderate resorts can also work out cheaper. 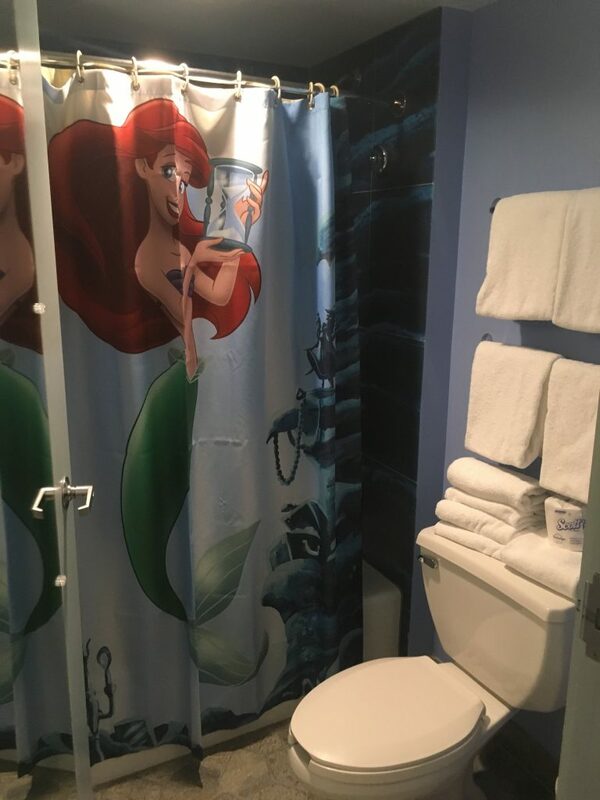 In our opinion, consider all options carefully before booking a Little Mermaid room including staying at another Value Resort or even a Moderate Resort. 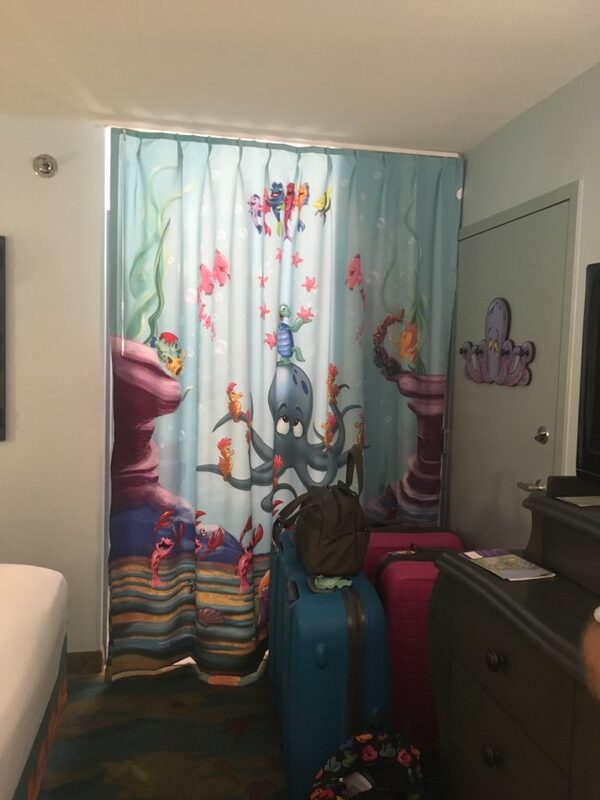 Our video is a tour around a Little Mermaid Room at Disney’s Art of Animation Resort. To explore more Walt Disney World Resorts visit our Guide. Our guide has hints and tips to pick your perfect vacation. Who are Modern Life is Good? 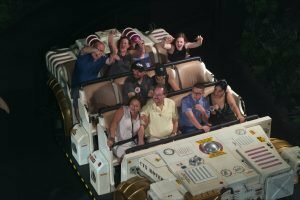 Welcome to Modern Life is Good we are a Family Travel site specialising in Walt Disney World Planning, Universal Orlando, Orlando Attractions & Cruising. We are family of 4 based in the United Kingdom who have become Orlando Fanatics and Enthusiastic Cruisers. We hope this website will help you plan the perfect Family Vacation. Our blog is updated regularly with handy family travel tips, guides & reviews. We also bring you all the latest Walt Disney World Updates & Disney World Rumours in our monthly Disney World News. Have a look around to see all our helpful tips to plan your next family vacation from our group of family travel experts.